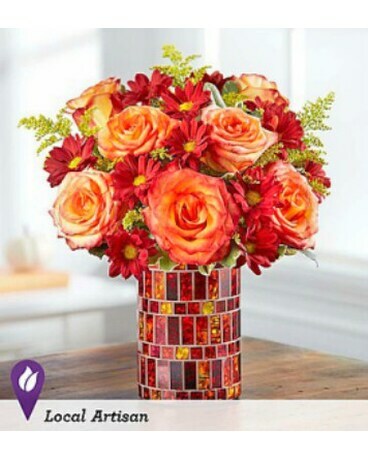 Mosaic Vase specially design with fall color roses and daisies to get you in the fall season. This vase can then be used as a lovely candle holder for your home to get you thru the Fall season. It's perfect for the office and home.